The Municipality of the County of Cumberland currently has one position available for Crossing Guard Casual located in Springhill. The Municipality is currently seeking qualified applicants to fill several summer positions located in Springhill and Parrsboro. In our last update we advised that during the commissioning process operators had become concerned with the reliability of the chlorine injection system and that chlorine skid equipment was ordered. We have now been advised that the equipment is anticipated to be delivered April 23rd. Contractors are on standby to begin installation on that date. 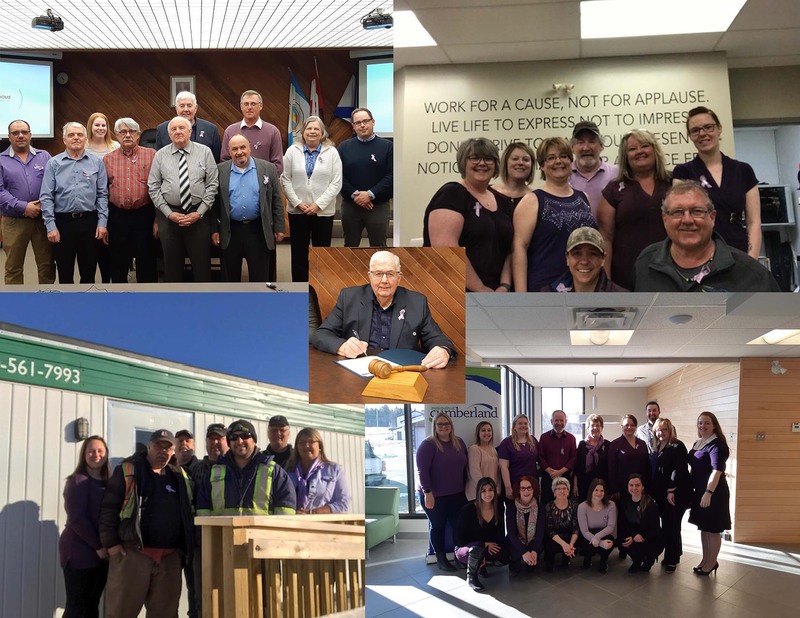 Staff and Council participate in Purple Day at the Municipality of Cumberland.